Should You Consider a Medicaid Asset Protection Trust? Long-term care can be incredibly expensive. Even if you and your spouse have saved diligently for years, long-term care can quickly eat through your savings, leaving you with little support in your most vulnerable older years. A recently-published study on the costs of a nursing home or assisted living facility revealed that the average annual cost to stay in a private room in a nursing home is $92,378. Washington residents requiring nursing home care can expect to pay $107,675 for a private room, and $96,725 for a semi-private room. These costs are simply unaffordable for most families. While you may assume that you do not meet the low income and asset standards to be eligible for Medicaid (Apple Health) and its long-term care coverage, there are ways to allocate your property which can make this critical public assistance available to you. One way to hold onto assets you wish to pass to your loved ones while still qualifying for Medicaid is the Medicaid asset protection trust. By transferring a portion of your assets to a Medicaid asset protection trust, you can make yourself eligible for Medicaid assistance without getting rid of the property or income you’ve spent years accruing. In order to keep these assets from being counted against you when determining whether you’re eligible for Medicaid, they must be in an irrevocable trust, taking them completely outside your control during your lifetime. If you can still revoke the trust, or have access to the trust funds, then the state will consider those funds to be assets you could access to pay for medical care. That said, some individuals choose to create an income-only irrevocable trust, which would continue to pay out income earned by the trust assets to the trust’s creator (known as the grantor). Keep in mind that this trust income will be counted as income for the purposes of Medicaid, so it should be carefully limited to ensure that you remain Medicaid eligible. One important fact to keep in mind when considering making use of a Medicaid trust is that these assets will be largely out of your control after the irrevocable trust is created. While you can create a trust that will allow you to change the names of successor beneficiaries (i.e., the heirs who will inherit the assets held in trust after you pass away), you will not have access to those assets. In order to reap the full benefits of a Medicaid asset protection trust, you should create one as early as possible. 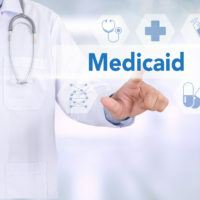 Medicaid imposes a five-year look-back period on gifts and the creation of trusts, which could make you ineligible to receive benefits for a period of time. Speak with a Washington estate planning attorney as soon as possible to determine your options for affording long-term care while retaining treasured personal assets. If you are in need of assistance with an estate planning matter in Washington state, contact the knowledgeable and detail-oriented Vancouver estate planning attorney John Lutgens for assistance with your estate planning needs, at 360-693-2119.